Free. Loose. Exciting. Paintings that stir the spirit, provoke an emotion and fill you with longing for the beauty and grandeur of Devon and Cornwall. Rob Walker is a professional artist who lives and works on the Devon and Cornwall border near to the north coast which has been the inspiration for much of his work. Over thirty years as a graphic designer and illustrator and running his own design business in the Midlands, he produced work for many high profile national and international companies. 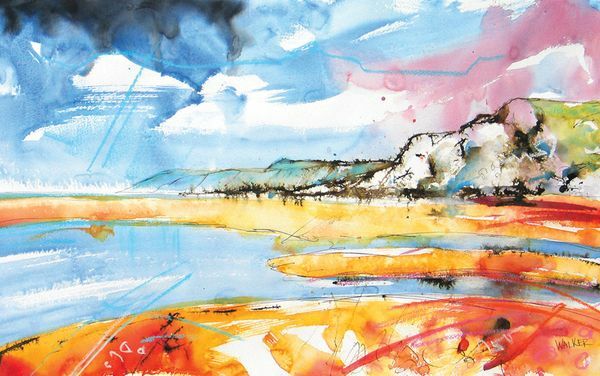 Moving to the South West some eight years ago to pursue a more relaxed lifestyle and discover the beauty and freedom of this part of the world, Rob’s paintings reflect this with his loose, free style. 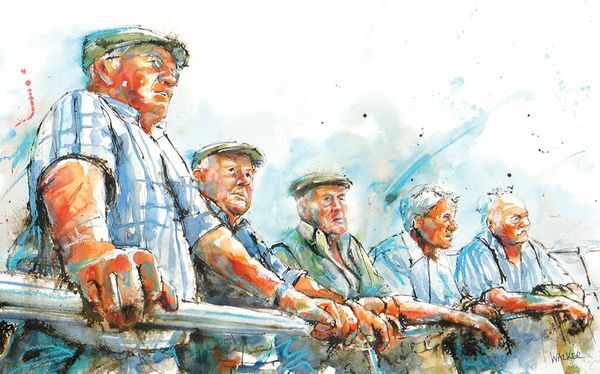 Born and raised on the farm, the countryside and rural scenes, people and animals are a big influence on Rob’s work looking to bring life and energy to his paintings. 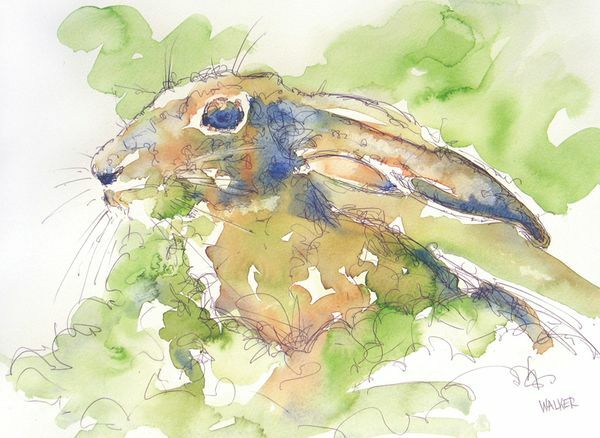 Rob paints mostly in watercolour and mixed media but also produces large contemporary oil paintings. He likes to experiment and create different works that challenge his knowledge and experience. Located in the rural North Devon countryside you will need a car but the journey is well worth it. Directions: From Barnstaple: Take A39, cross over Torridge Bridge, turn left to Bideford. Take A386. After 1 mile turn right towards Bradworthy. Follow for 10miles. Fabulous new pieces from Rob will be on display during Art Trek. Alongside these pieces we will have work by other local artists including ceramics, sculpture, glass and jewellery. Will pop them on comments over the coming weeks. We were planning one a week! !